These energy efficient Performance LED Retrofit kits are Energy Star® Approved, ETL listed, CA title 24 plug, and are compatible with most 5 inch and 6 inch recessed cans. 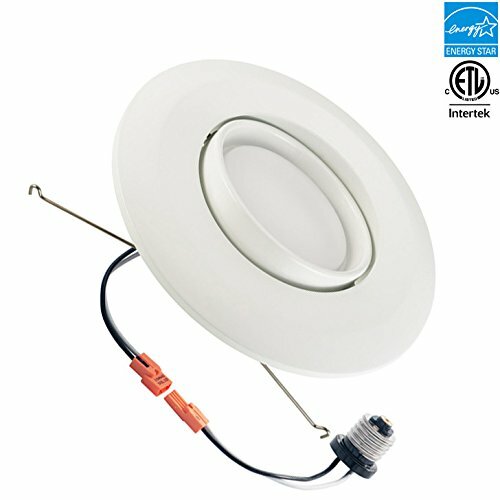 Installation of these lights are easy and straightforward. The lights are dimmable with the compatible dimmer switch. These lights also have an average lifespan of more than 50,000 hours. Each kit comes with a standard base adapter and a pre-mounted trim. Uses a LED that is more efficient while creating less heat. Great for offices, businesses, and home use. At $0.11 kWh, this 15 watt 1060 lumen LED down light uses $83 of electricity over its 50,000 hour life. This is a $578 savings when compared to the $660 required to run a 120 watt, 1150 lumen incandescent downlight over the same period. Actual savings will vary depending on cost per kWh.